ISS lists all 2018 winners on its website and will be featured in their November issue. 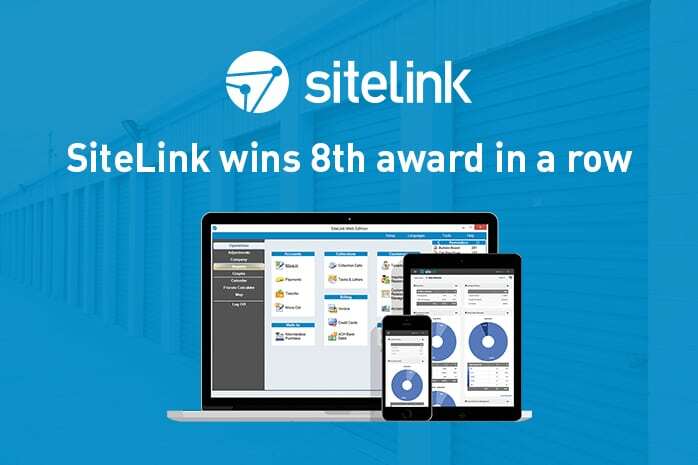 SiteLink is the self storage management software of choice with more than 15,000 self-storage locations served worldwide. Through the SiteLink Certified Professional training and development program, thousands of users learn the fundamental operations of the self storage management software plus advanced features as well. The online community StorageForum provides an avenue for free and open discussions on SiteLink products and the self-storage industry in general.